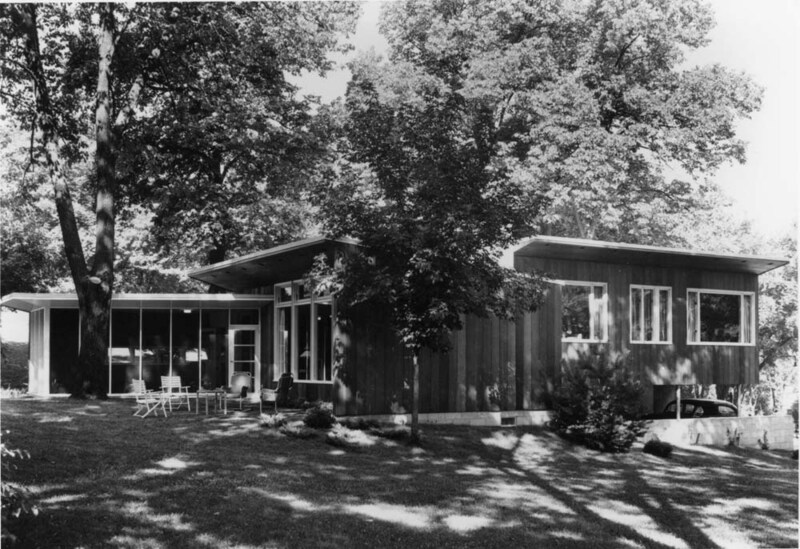 In 1941, the Walker Art Center built the first museum display house on its grounds, showcasing contemporary approaches to residential architecture and interior design. The success of Idea House I paved the way for a more ambitious and modern sibling, Idea House II, which opened in 1947. 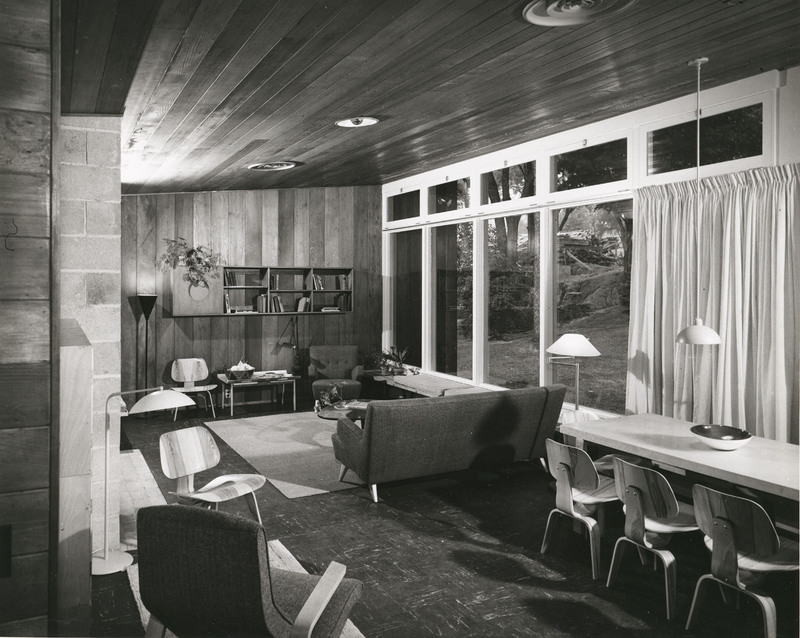 Designed by William Friedman and Hilde Reiss with Minneapolis architect Malcolm Lein, Idea House II featured innovations such as a children’s shared space for study and play, the Andersen Window Wall, which allowed expansive areas of glass to capture views and bring in more daylight, and such future mainstays as an automatic dishwasher and the breakfast counter in the kitchen. 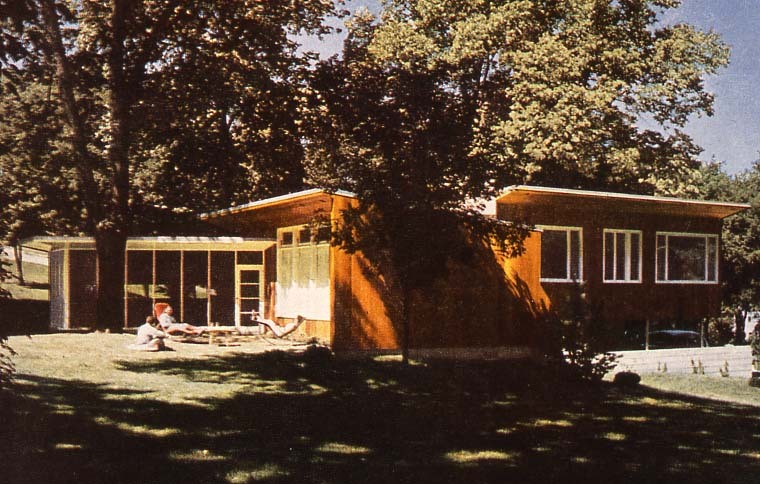 Covered by local radio and newspapers as well as Life magazine, Idea House II offered its accommodations temporarily to a variety of guests, including a family of four, a trio of working women, and a newlywed couple. After its public exhibition, the house became a residence for the museum’s director until it razed in the early 1960s to make way for the Guthrie Theater.